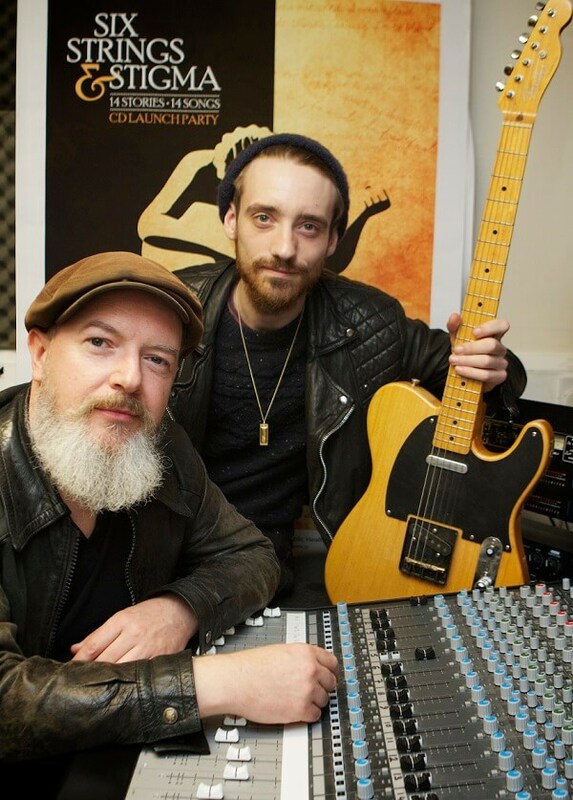 A musical project bringing together some of Northern Ireland's top musicians and those experiencing mental ill health has resulted in the launch of a new album. At last weekend's An Culturlann event [12 October] in Derry hundreds of fans heard the first play of the album Six Strings & Stigma ahead of its general release at Cool Discs music in Foyle Street and for download from iTunes. People of all ages attending the Clarendon Street Beacon centre, a mental health day support service provided by Niamh (Northern Ireland Association for Mental Health), shared their written life stories with songwriters and singers from 14 bands who then wrote and recorded songs based on these stories during the summer. All of the songs are based on the stories of people with long-term mental ill health and the social stigma they have experienced. The songwriters were presented with accounts of fear, isolation, ridicule and hope. The bands appearing on the album include Paddy Nash & The Happy Enchiladas, Intermission, Teknopeasant, Tracy Cullen, The Murder Balladeers, Little Hooks, The Wood Burning Savages, The Ard Ri Band, Declan McLaughlin & The Hi-Flats, Jeanette Hutton, John Deery & The Heads, The Gatefolds, Tara Gi and We Are Aerials. Speaking at the launch, Beacon project worker and album producer, Ruairi O’Doherty, said: “This is one of the few albums ever produced that brings the creative talents of so many bands from Derry to focus on the major issue of mental ill health. Six Strings and Stigma is unique in its inspiration and a moving tribute to the difficulties associated with mental health and the surrounding stigma.